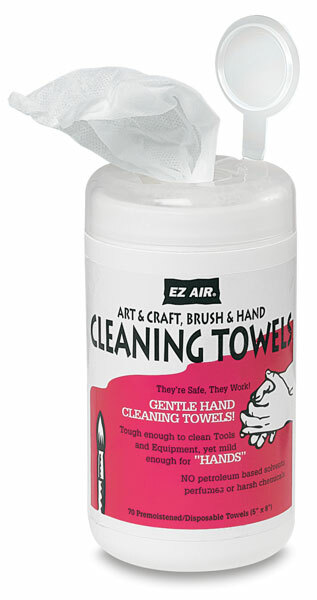 These pre-moistened wipes contain jojoba oil, vitamin E, aloe vera, and other emollients to gently remove paint from hands, brushes, and equipment. The wipes are effective yet gentle to the skin. Each wipe measures 5" × 8". Package contains 70 wipes. 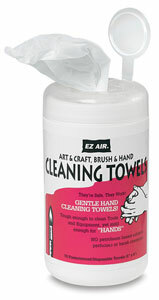 ™ EZ Air is a trademark.